New Year’s Resolutions. Goals. Choosing an annual theme word. It seems like the start of the new year always brings a renewed sense of what we want to be and where we want to go—figuratively, but sometimes also literally. This year I want to help you with your meal planning goals. When I started Meal Planning Magic, it was really just as an extension of the workshops I had been teaching locally. Boy, look at where it’s come since then (more than ten years ago)! But in the process of sharing what I knew and had learned about meal planning during my own journey, I have also continued learning more along the way. I’ve learned more about how to cook real food for my family (and rely less on processed foods), how to include more fruits AND vegetables in our diets, choosing foods that are local, organic, or non-GMO. 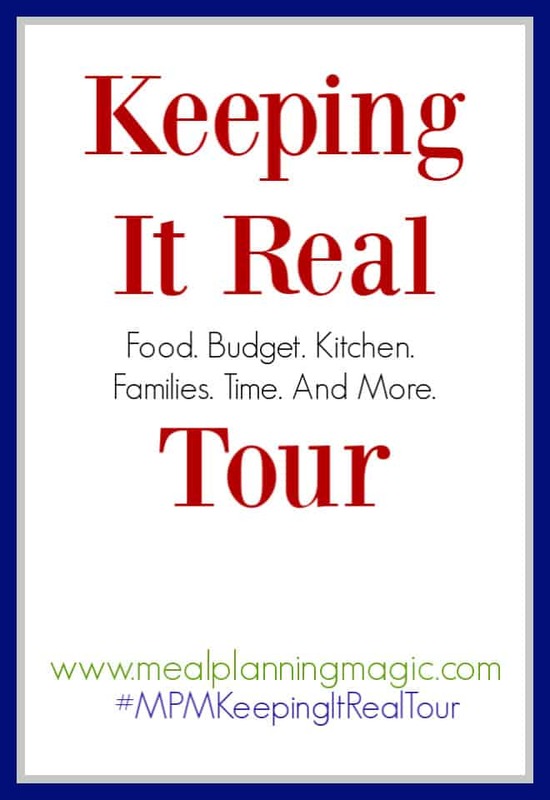 I have learned tips and tricks to help me save money on real food and also how to save time in the kitchen. I have learned more about organizing my kitchen space and how to decide what I REALLY need to keep or use the most. And I’ve also been learning about how to balance it all. It’s a process that never ends so I’m still learning! As a blogger, it’s easy to get bogged down by what others are writing or posting online, especially other food bloggers. I see gorgeous photographs and read about how I should go sugar-free, gluten-free, dairy-free, meat-free. It’s a lot to keep up with and I don’t know about you but sometimes I feel guilty about not being even MORE aware of what we choose to eat. I’m not trying to knock all those other bloggers or even those who choose or need to follow a special diet due to allergies or lifestyle choices. Because I try not to take for granted how not having to be on a special diet makes our lives simpler. But what I do know is that we’ve made significant progress over the last decade and THAT is what I’m choosing to focus on. I cannot write about what it’s like to be gluten (or dairy or whatever) free because right now we don’t have a medical need to do so. (Plus, there are many other bloggers that have a lot more experience with those things than I do!) Sure, I’m more aware about what we consume, how we can save more, you name it. But y’all, it’s about progress, not perfection. Keeping It Real Food Tour. I’m going to try for our family to eat even more real (non-processed) food and figure out ways to save time and money doing so. Perhaps it’s that I’m going to focus on meal planning for our schedule and not get hung up if those first two things don’t align with this one occasionally. It might mean that I’m going to find new ways to regularly reevaluate my kitchen’s organization for efficiency so that time spent there is even more enjoyable. Or maybe it’s figuring out ways to eat out but still maintain a budget andchoose restaurants that meet our real food (or local food or organic sometimes) food preferences. There is no one size fits all. But it’s a journey we can take, learn from and support each other together. I’m thinking of this year as kind of a tour. You know how when you go on a trip or tour, the tour guide will be telling you all sorts of things but you might not absorb it all or do anything with all the information you learn about or see? But maybe one day, you’ll come back and remember that one little nugget of information you heard on the tour and it might inspire you to learn more about it. You can take from it what you want and apply what you want to your own life. So consider me your tour guide when it comes to meal planning. Each month I’ll have a different theme for my blog posts. And through those, let you know about our family’s journey. Don’t worry, I’ll also have plenty of recipes, reviews and other tidbits to share along the way (that may or may not fit in with that month’s theme). I am super excited about this year and learning, sharing and supporting each other together! I hope you are too. 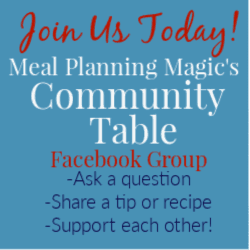 And to learn and support each other, I’ll be posting regular challenges in my Meal Planning Magic Community Table private Facebook group. You can join the group by clicking here! Use the hashtag #mpmkeepitrealfoodtour when you’re sharing our journey on Twitter or Instagram too! Details on how to follow me there are at the bottom of this post! Won’t you come along on the tour? Let me know also if you have any suggestions for “tour stops” this year! I hope you’ll join me! 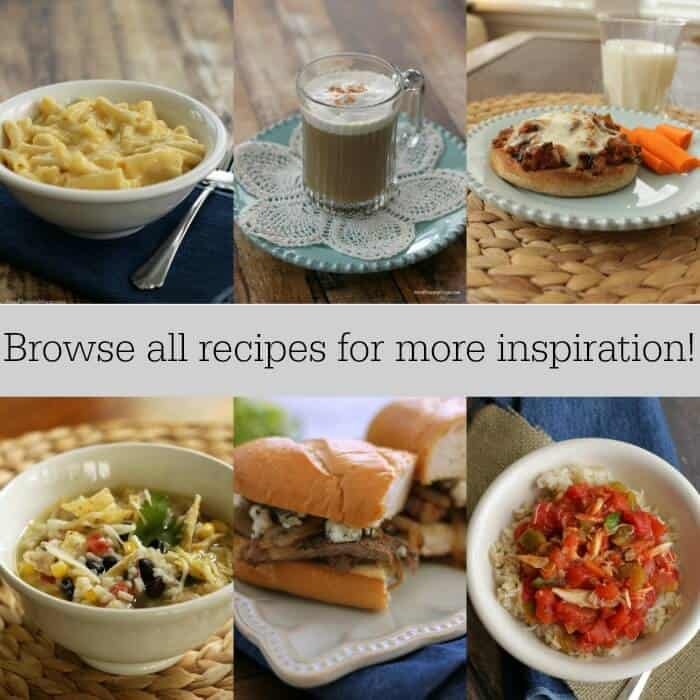 Click on the photo below to browse my recipes to get started on some real food meals! « Annual Reader Survey — I Want YOUR Input! Love your intentions for 2014! Keeping it real says so much in so many ways, but especially about your authenticity as a blogger and a foodie. I look forward to reading your organizing posts in January too!